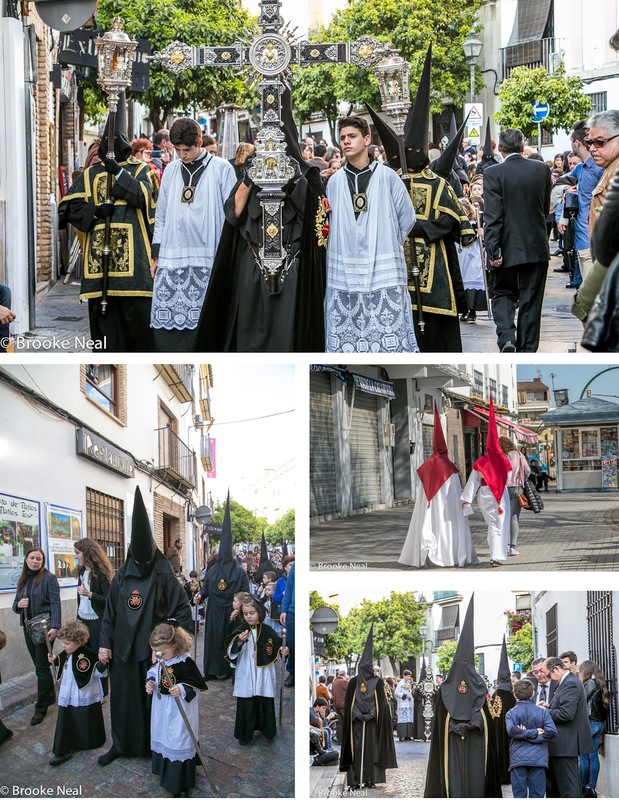 We hit Easter pageants in every city we visited while in Spain this year. In many respects, if you've seen one, you've seen them all. There is an order to the procession and it repeats itself in just about every parade. The differences of robe color is simply a function of the parish or order of Catholicism. The real difference was in the children. 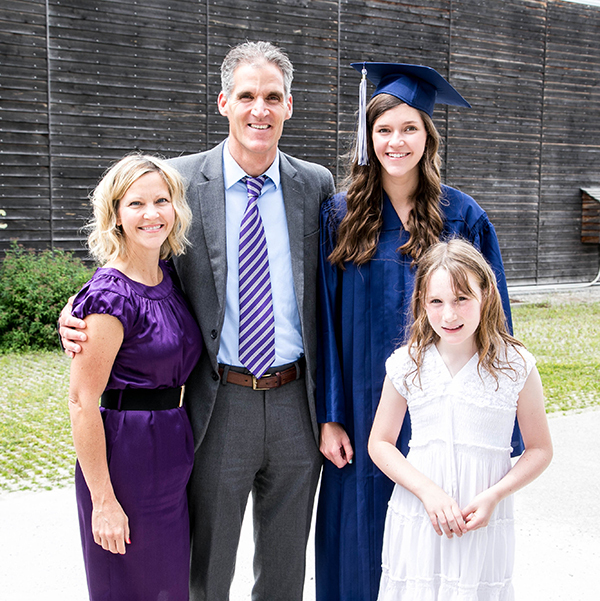 In the smaller towns children played a larger role. Parents walked with them, feeding them snacks, (parades can last several hours to all night long), giving them water and fanning them in the hot sun. Little kids lined the streets waiting patiently for drips of candle wax for their procession balls. While I am not Catholic, I loved watching the children engage in something ritually important. 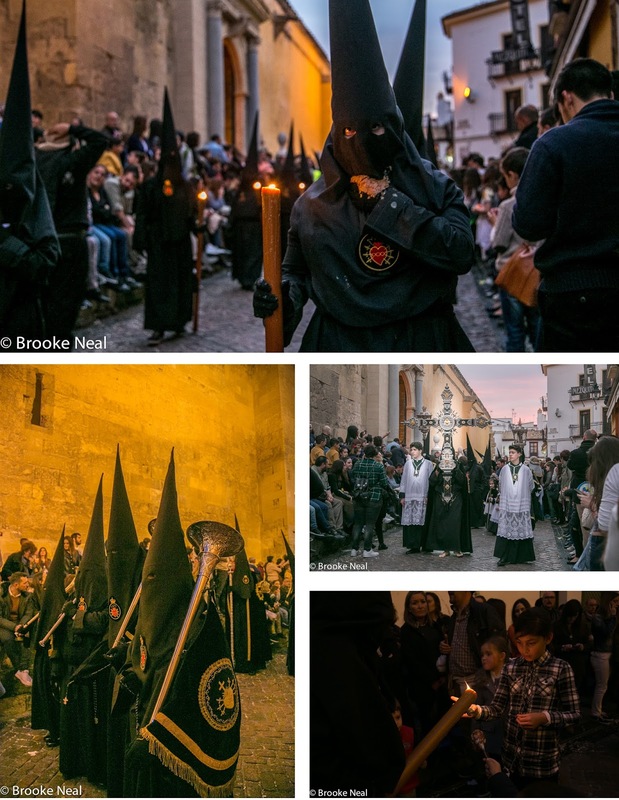 The photos below were taken in Cordoba during a parade that began at dusk. As the sun set it became harder to capture good shots, but I hope you will enjoy them just the same. Because of your last post, I started dreaming of Spain again. I printed the map and looked at cities/towns that I haven't heard of and consulted Trip Advisor. As a result I have about half a dozen destinations added to my wish list. I cannot remember where they have the Walk/Parade of the Giants festival. I am so glad you've been inspired! Good luck with your trip plans and finding the parade of giants. I have not heard of it. We only spent two days in Cordoba bc for us that was plenty. Where I would spend more time is Seville. Wow! Those are some scary dudes. Those hats make the witch hat from the wizard of OZ look unfinished. And short. Hello Brooke! thanks for your very kind comments on my blog, they are greatly appreciated! So glad to be able to come by your blog and see these fascinating sights and certainly something I have never witnessed before. 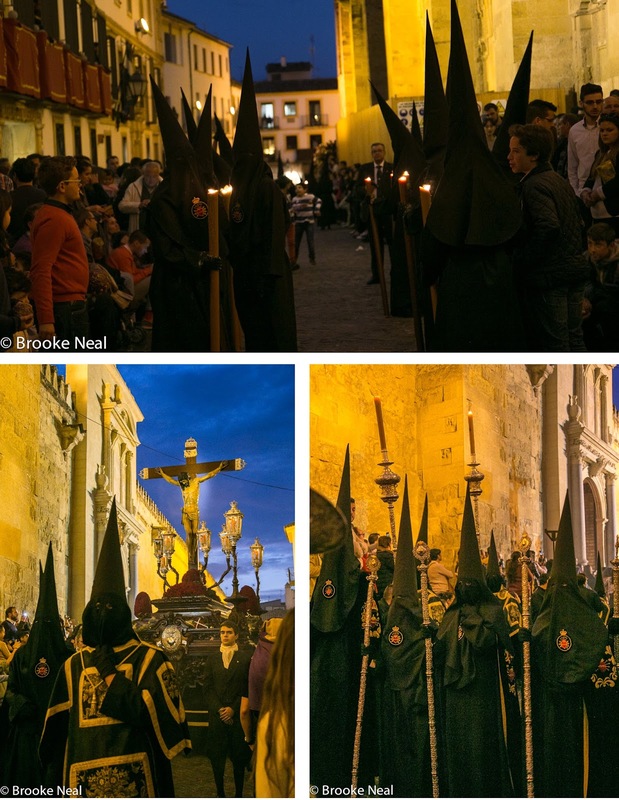 Your photos captured the solemnity and the anticipation of the occasion but I was taken aback by the tall pointy masks worn. i wonder at the reason for this? 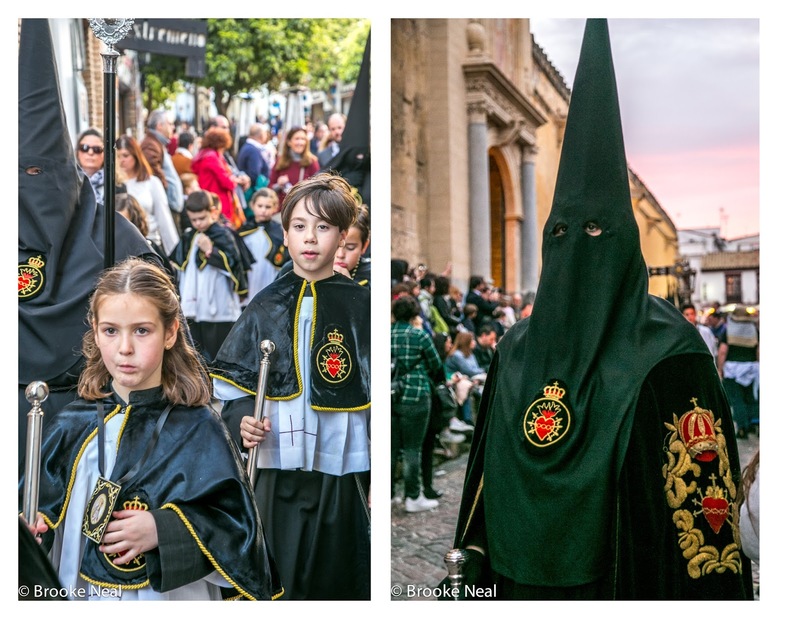 The tall hats and robes are disconcerting to many because of they remind us of the American KKK and all the ugliness that goes with it, however, these costumes are a centuries old tradition. Unfortunately, no one really knows how/where/why the tradition began. Some speculate that the covering of face was to hide the worshiper who worships in secret. But again, only conjecture. Kind of creepy, but very interesting to say the least! Interesting to see how other cultures celebrate holidays!